There are lots of buildings in the Warrendale and surrounding neighborhoods that could use a little tender loving care. Many of them are old enough that they can know be considered historic and thus potentially eligible for special tax credits and financing. As such, I wanted to bring to everyone's attention a free workshop that will happen next Friday, January 25 from 3 - 5 p.m. that will focus on providing the owners of commercial buildings with an overview of federal historic preservation tax credit. This workshop will happen at the Southeast Michigan Office of the Michigan State Housing Development Authority, which is inside Cadillac Place (3018 W. Grand Blvd., Suite 4-600 in the New Center neighborhood). This workshop is presented jointly by the Michigan Historic Preservation Office and Technical Preservation Services Bureau of the National Park Service. 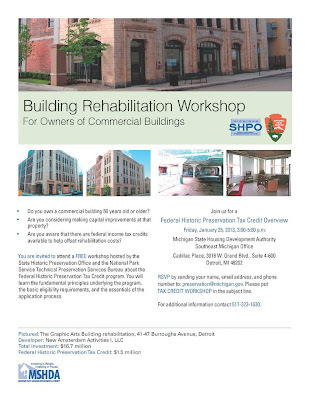 Anyone interested in rehabilitating a commercial building that is at least 50 years old is invited to attend. 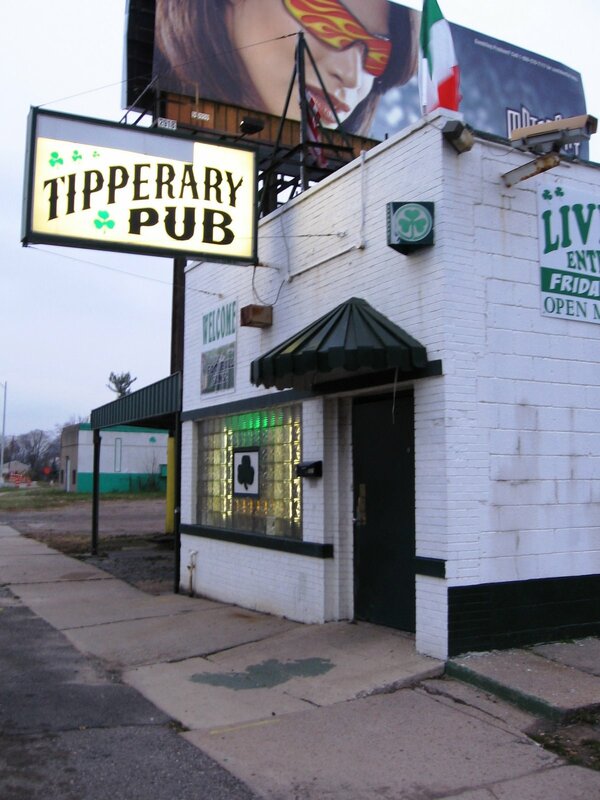 Since most of the buildings in the Warrendale neighborhood were built shortly after World War II, most of our commercial buildings are eligible for these tax credits and special financing. While there is no charge for this workshop, those wishing to attend are asked to RSVP by sending an email to preservation [at] michigan [dot] gov with their name, email address, and telephone number. Please put "Tax Credit Workshop" in the subject line of your email. Additional information about these free workshop on financing the rehabilitation of historic commercial buildings is available in the flyer below. I hope at least a few property owners in the Warrendale neighborhood will be able to make use of this workshop.